Nuove grafiche per i caschi Cross che Michele Pirro indosserà durante gli allenamenti invernali con la sua motard. Le grafiche sono state realizzate dallo studio Ag Design di Pesaro. 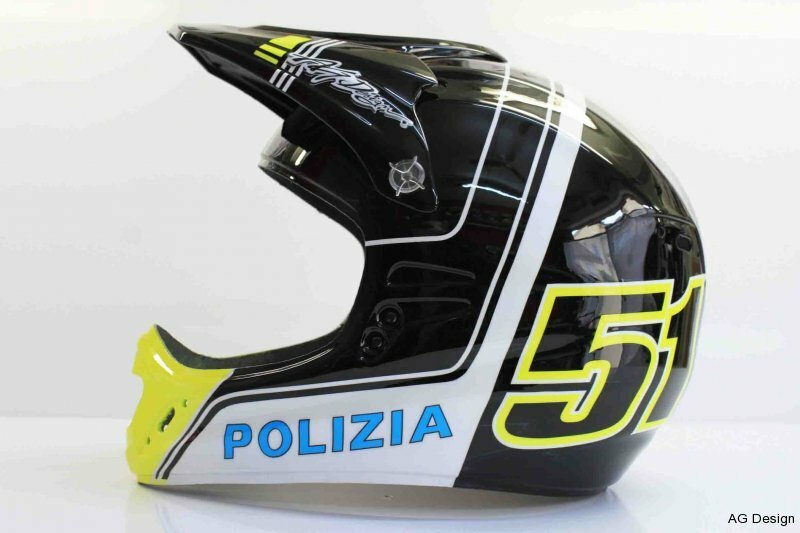 New graphics for helmets Cross that Michele Pirro will wear during the winter training with his motard. The graphics have been created by Design studio Ag Pesaro.